Eat, drink, and raise your paddle! The Goodtimes Gala is our signature annual fundraiser, raising critical funds that help us to serve over 230 families each year, including more than 200 children who attend Camp Goodtimes every summer. 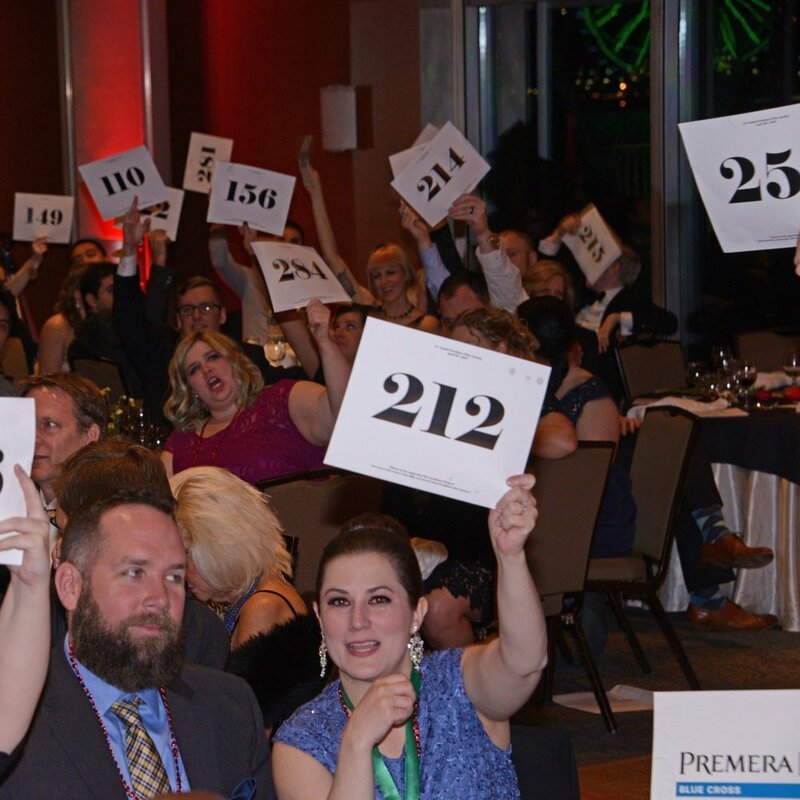 Gala attendees participate in both a silent and live auction and paddle raise. The event is well attended with more than 280 enthusiastic donors, where everyone will be sure to see old friends and make new ones. Our gala guests list this event as one of the best events around, with "good times" had by all! Can’t attend but still want to give? You can still help us fill our wagon via our Virtual Paddle Raise! And stay tuned - we'll be going live on Facebook the night of the auction during our in-room paddle raise. We are looking for help the week before, the day of and the night of the 2019 Goodtimes Gala! Everything from labeling items, to setting up the wine toss, to helping guests check in and much, much more. Consider giving an item that can be a standalone silent auction item or part of a live auction package. Items that consistently draw high bids include wine, hotel/condo stays, sports memorabilia, and airline tickets/miles. Introduce your brand to people of influence in Seattle. 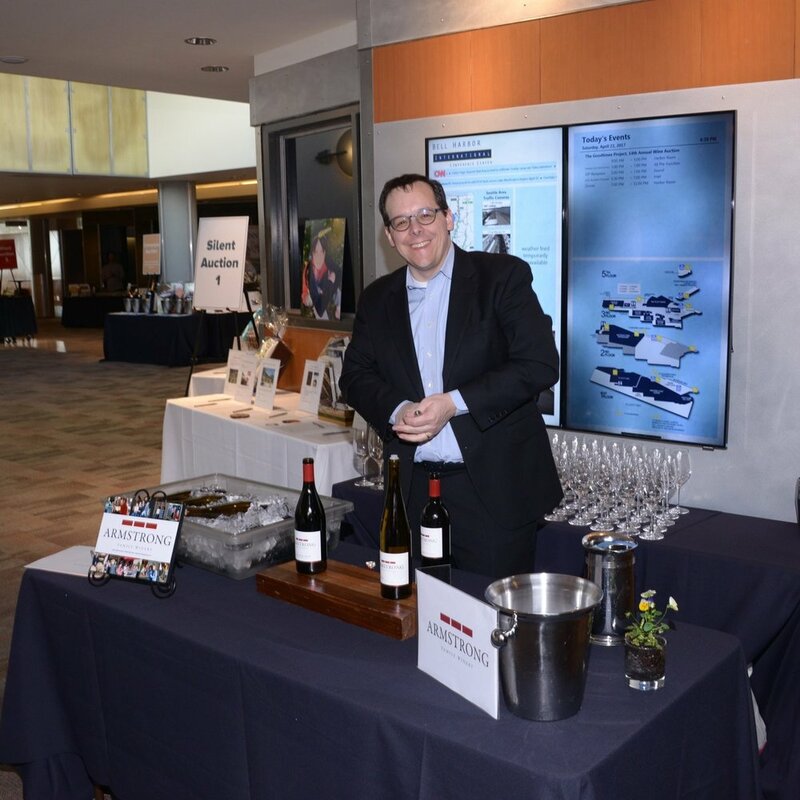 Our gala attracts participants from the business and non-profit sectors, including individuals who appreciate fine wine, dining, entertainment and travel.